Earlier this year, U.S. News & World Report revealed the vehicles that were their choices for “2017 Best Cars for Families,” and the 2017 Toyota Highlander Hybrid earned the “Best Hybrid SUV” award. The awards are given to the vehicles that offer the features needed by busy families, with the editors lauding the Highlander Hybrid for how the advanced rearview camera and parking systems help making parking a large vehicle less challenging. To select the winners, U.S. News & World Report evaluated over 200 new minivans, cars and SUVs, considering such key factors as reliability and safety ratings, professional reviews, seating and cargo volume data, plus the availability of family-friendly features. In each category, the vehicle that earned the highest overall score was declared the class winner. 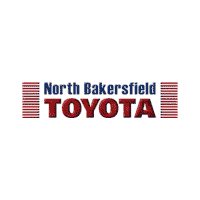 Our showroom at 19651 Industry Parkway Drive in Bakersfield is a convenient drive for Toyota lovers from the San Joaquin Valley area.